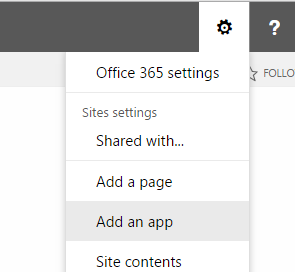 Below is a quick tutorial on how to create a simple helpdesk/support log in SharePoint online (Office 365) or using the on-premises SharePoint 2013 release. It uses out-of-the-box functionality to create a simple system for users to log and track support issues. Create a new view based on All Items called “My Open Calls”. This is the default end user view to review their open calls. 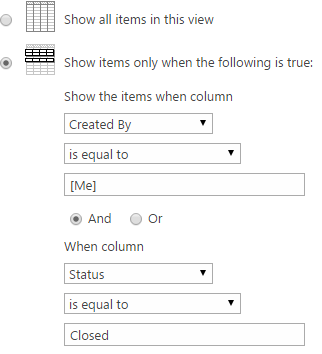 Uncheck any other columns. 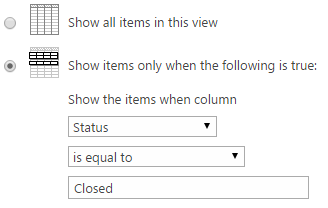 Add a filter to show items created by the user and items that do not have the status “Closed”. Filter by the user and items that have the status “Closed”. You may also want to sort these items by newest first to make it easier for the end user to see recently closed items. 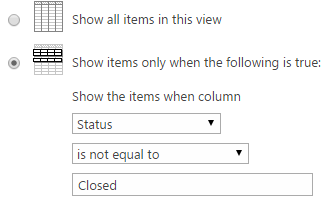 This time only add a filter to show items with the status “Closed”. This time only add a filter to show items without the status “Closed”. The views “All Open Calls” and “All Resolved Calls” will be used by the resolution team to manage logged issues. The other views will be used by the end user to track their own open issues. At this stage, users with contribute access can add and edit all the logged incidents. This needs to be locked down so users can only edit their own items. 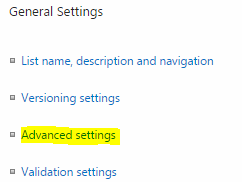 To do this, select “Advanced Settings” from the List Settings page. 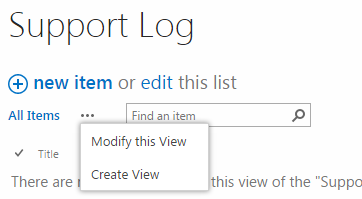 Lock down the Item-level Permissions so that users can only read and edit their own items. Users will Full Control on the list will have access to see and edit all of the items despite the settings above. Open the site in SharePoint Designer 2013. 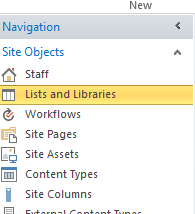 Using the Site Objects Navigation, find the “Lists and Library” category and select the list. 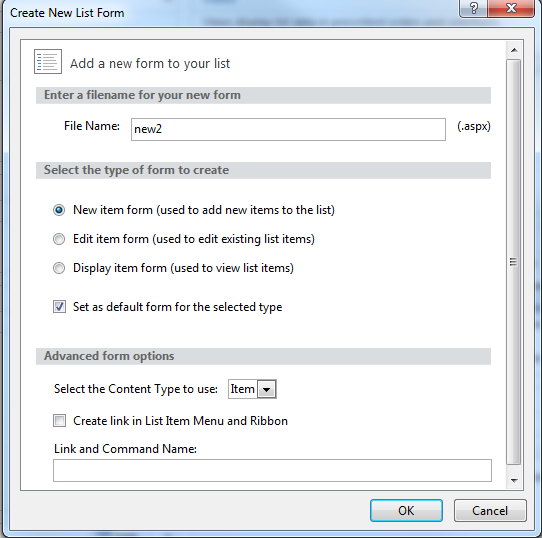 Create a new Form for the list by selecting “New” in the Forms section. Give the form a new name and select the “New item form” type. Set this as the default form for the selected type. 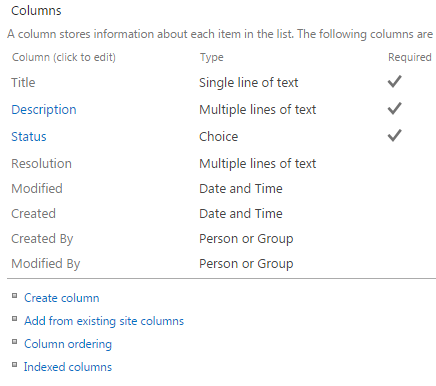 Locate the table rows in the HTML for the Status and Resolution. Remove these including the start and end tr tag. 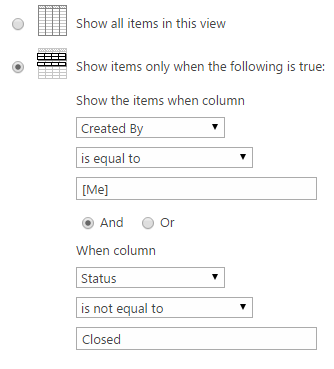 This will remove the columns from the new form. Save the form, this should now apply to any new items added to the list. The support team should sign up for alerts on the list so that they are notified when a new issue is added or updated. A simple workflow can be added to the list to notify the end user when their issue has been updated. I will write a blog post on how to do this soon. This entry was posted in Office 365, SharePoint 2013, SharePoint Designer, SharePoint News, SharePoint Online, Tony Phillips and tagged Help Desk, Log Call, Log Support, Office 365, Office 365 Apps, Office Online, SharePoint, SharePoint 2013, SharePoint Design, SharePoint Office Web Apps, SharePoint Online, Support Desk, Support Queries on April 24, 2015 by Tony Phillips.